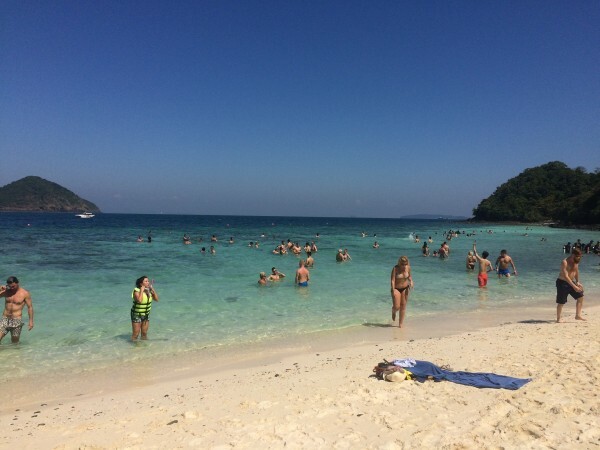 The difference between a regular cruise on Costa Victoria and Shipsomnia was the promise of a private beach party on Banana Beach in Phuket instead of free time on mainland Phuket. We stayed at an Ocean View Cabin on the 8th floor and the cabin came with a porthole window from which we could see the ocean. Our cabin was cosy and inviting with two single beds and a small desk in the corner of the room. It also came with a television set. I mean, who needs a television when you have so many activities on board the cruise! The room came with a wardrobe and a small safe. It was big enough for smaller valuables such as mobile phones but will not fit larger items such as laptops and tablets. The toilet was small but sufficient and had hot water. Bath and hand towels were provided, and there was a bar of soap and a soap dispenser in the shower. Our cabin was cleaned daily by our allocated cabin attendant, Peng, who was very friendly and extremely accommodating in terms of the cleaning times. The main places we ate at were the Bolero Buffet on Deck 11, Fantasia Restaurant on Deck 5, and Pizzeria Bella Napoli on Deck 12. For breakfast, there were three options available; ala carte dining at Fantasia Restaurant, Bolero Buffet, or you can have a Continental Breakfast delivered to your cabin. However, most passengers did not wake up in time for breakfast due to the late-night partying (which we will cover later). However, a Continental Breakfast was served up till 1130am on Deck 11 for the late risers. Lunch and dinner were served at Fantasia Restaurant and Bolero Buffet as well, with the extra option of Pizzeria Bella Napoli for dinner. 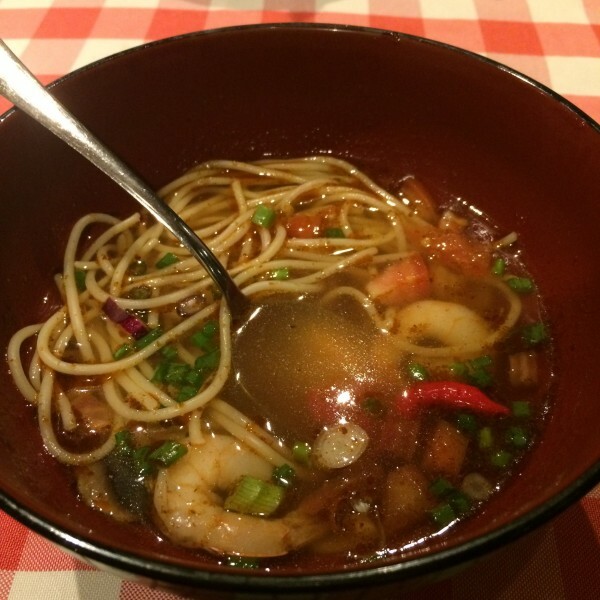 We would highly recommend the ala carte dining at Fantasia Restaurant if you are not in a rush. The food there was freshly prepared and the service was good. We even had a delicious lobster and pasta on one of the nights! The only downside to dining at Fantasia Restaurant is that it takes up more time as compared to the other places. If you are in a rush, the best option would be the Bolero Buffet. The spread is quite wide, comprising of Western and Indian food, but the quality is not as good as Fantasia Restaurant. However, the place which we patronised the most was Pizzeria Bella Napoli. They opened for dinner and supper (from 11pm to 4am)! 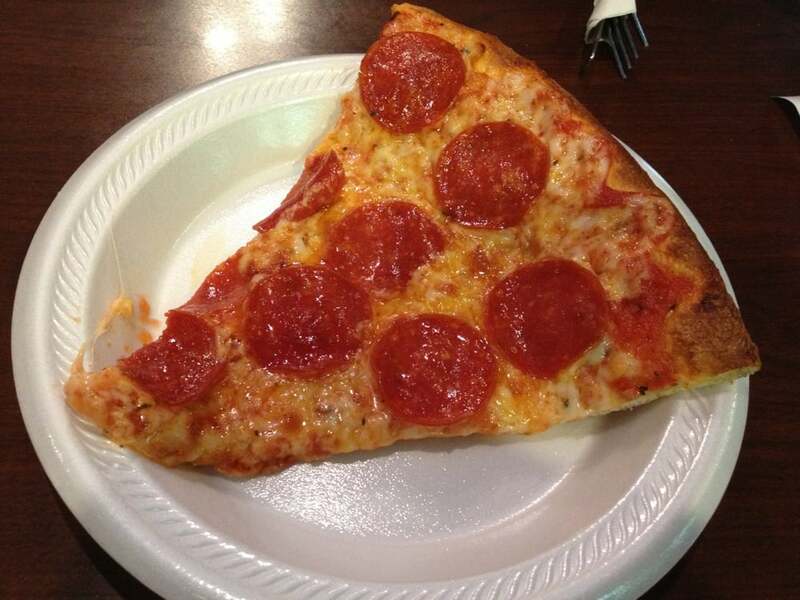 We found their selection of pizzas and noodle soups a great relief after the partying. Similar to the normal Costa Victoria cruise, there was a Michael Jackson Vegas show on the 3rd night of the cruise at the Festival Theatre on Deck 6. This was a highlight for us as the impersonator was truly a professional and performed familiar hits like Billie Jean and Thriller. We later managed to speak to “Michael” in the Rock Star Disco where he was having a drink. He told us that his show is usually longer than the 40 minutes that he performed that night but had to cut it short to make way for the DJs spinning. It seems that the entertainment on the cruise was cut down for the partying, not that any of the passengers were complaining! 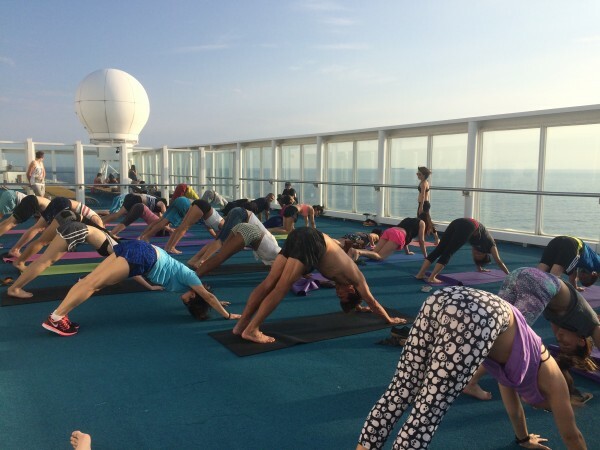 There were also yoga classes held 3 times during the cruise. These were held in the evening and outdoors (twice on Deck 14 and once on the beach). This provided spectacular views and a refreshing break from the partying. The yoga classes were very professionally conducted by a qualified yoga instructor. We attended classes and definitely felt like we were being given a workout. A movie night under the stars was held on the second night. They aptly screened Pirates of the Caribbean! Bingo and a dodgeball tournament were organised and provided us the opportunity to play against DJs. The highlight of Shipsomnia was definitely the partying. Billed as the “Tomorrowland of the Seas”, Shopsomnia managed to deliver in that aspect. Although the first party, the Sailing Away party, started late, partygoers did not let that spoil the mood and started drinking at the bar on Deck 11. However, there was a problem with the drinks package we had purchased prior to the trip. It did not show up in the ship’s system at all, but the bartenders managed to get it sorted out. It was there that we made the first of many friends. At about 1.30am, the festivities finally got underway, with Yolanda Be Cool kicking off the party. 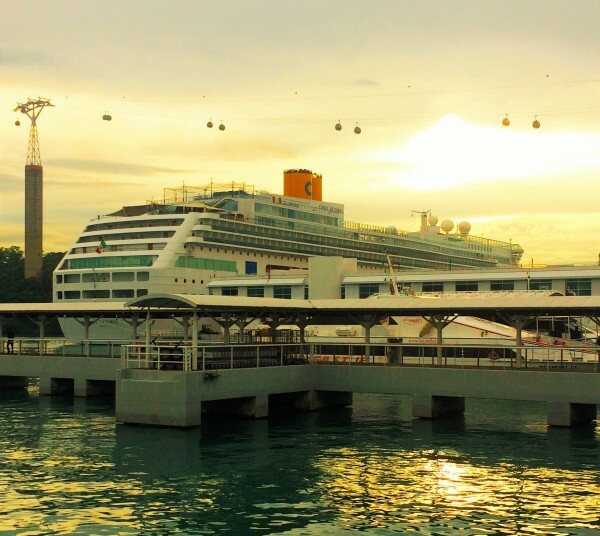 The passengers danced the night away under the stars on deck. 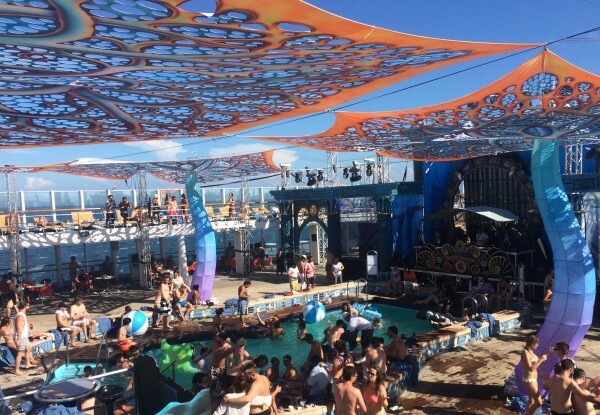 This was just one of many similar days and nights on Shipsomnia, with both regional and international DJs providing music from morning till sunrise. This included world renowned acts such as Amtrac, Justin Jay, Mat Zo, Armand Van Helden, and one of the pioneers in EDM, Pete Tong. However, there were quite a few hiccups along the way, with some sets being cut in the middle and some sets being cancelled. 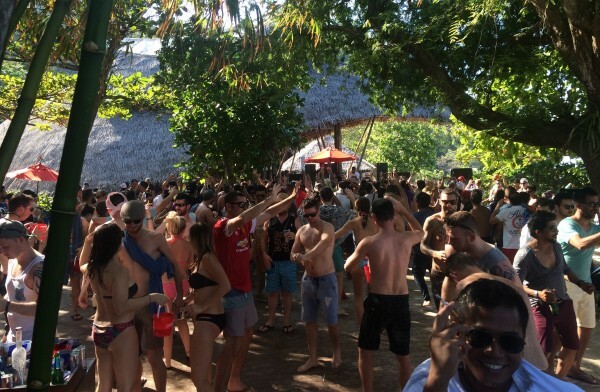 The best party was definitely the beach party on Banana Beach, Coral Island in Phuket. We took a tender boat to the beach from Costa Victoria in the morning and the party was already in full swing. Food was sold on the beach and passengers had to purchase food coupons. We felt the food was a bit expensive but were too hungry. Drink coupons were being sold there as well, with 4 coupons getting us a bucket of housepour spirits and mixers. Justin Jay, Armand Van Helden and Pete Tong did not disappoint the crowd, spinning their hits to keep everyone dancing throughout the day. As the weather is extremely hot, we would recommend that you apply sunblock to prevent from getting sunburn, and to drink plenty of water as well. The cruise reached Langkawi early in the morning on the fourth day. We were informed about guided tours of Langkawi, which could be booked and paid for separately once we boarded the cruise. There were three different tours to choose from, averaging around 4.5 hours each. These sounded really interesting and would be a good break from the non-stop partying so far. Unfortunately, the cruise was a behind schedule and arrived at Langkawi later than planned. We were disappointed but thankful that we had not booked a tour beforehand. There would not have been enough time for a tour. Many passengers chose to sleep in or relax on the cruise instead of alighting at Langkawi. We would recommend exploring Langkawi only if you have had sufficient rest beforehand because the stopover is early in the morning. Langkawi has amazing scenery and you will get to go onto a beautiful beach, making it worthwhile. 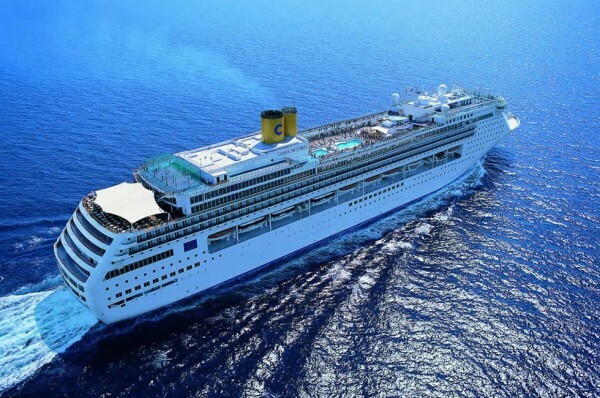 Staying on board the cruise for the morning can be equally relaxing, and this might be a good choice as the highly-anticipated Shipsomnia Ball is happening that same night! The Shipsomnia Ball was frequently discussed during the whole cruise. Everyone we talked to was excited for what we thought would be the biggest party of the whole experience, as well as the costume aspect of it. Shipsomnia had a costume shop on board, where passengers could rent costumes if they had not prepared beforehand. However, do note that the price of rental is quite steep at around USD 100 to rent a costume. If you are interested in dressing up, it will be best to prepare before the cruise and it can be worthwhile especially since there is a prize for best costume: a pair of free cruise passes! The night turned out to be the biggest one yet, maybe because everyone wanted to party hard for the last time. Some of the costumes were impressive, with many convincing pirates and mermaids dancing the night away. We even spotted someone dressed as a crab and Spongebob Squarepants. The lighting and DJ sets seemed even more impressive and there were even sea creature figures parading around the deck. Although we did hear of a DJ’s set being cancelled, the rest of the party did not disappoint. In the morning, some of the passengers we spoke to while queueing to pay our bills said that they had not slept since the party ended at around 7am! Logistically, this Shipsomnia cruise experience could have been improved. We wish we had been told about the extra ‘room service’ charges of USD 12 per person per day. Despite having a Shipsomnia counter set up, there was no one mending the counter most of the time. The queue for customer service was always long but they were often unable to help us as they were in charge of Costa Victoria instead of Shipsomnia, thus they kept referring us to the Shipsomnia counter, which was empty most of the time. Technical difficulties such as the one we encountered with our drinks package was faced by many other passengers as well. Shipsomnia had many volunteers helping out and we were grateful for their friendliness and cheery attitudes. However, they were not given enough information about how things were ran on board. For example, the “Movie Night Under The Stars” was frequently announced and passengers were encouraged to go for it. Up till one hour before the movie was to be screened, nobody knew which movie was going to be played. The volunteers were not informed about this as well. As volunteers were understandably not able to help in some situations, there should have been more staff on board to ease the difficulties that passengers faced. Despite all of the above, this was the first ever Shipsomnia cruise and we can only expect it to improve from now on. We enjoyed ourselves and the partying was as epic as we had hoped after hearing about this cruise. 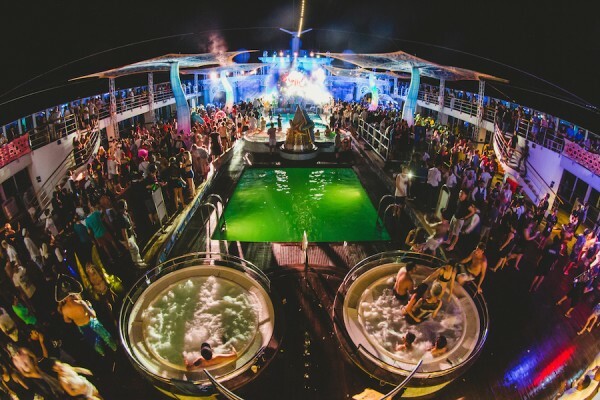 Shipsomnia is definitely for those who are looking for a getaway with endless partying and to meet new people. There was a positive vibe as everyone was friendly, buying drinks for each other and inviting each other for different activities. This was what made the whole experience. This trip was made possible by Shipsomnia.